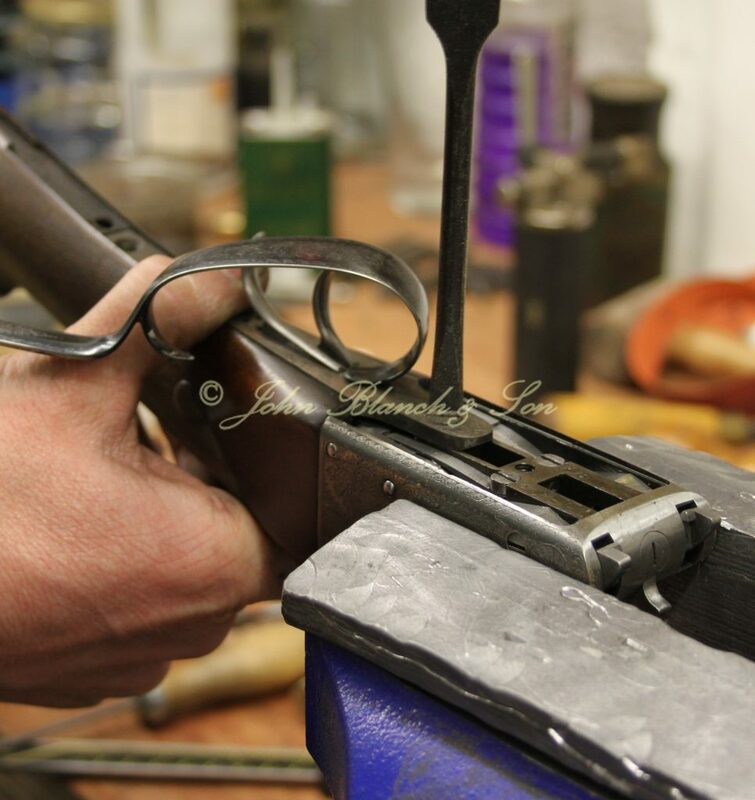 From our premises in the home counties, our skilled craftsmen carry out servicing and repairs to all makes of gun both side by side and over and under. We undertake all types of repairs from a routine strip and clean to making a new striker or spring and everything in between. We also carry out refurbishment and rebuild work, so if you require this type of work to be carried out or you are just looking to have your stock refinished or barrels re-blacked we offer a complete, efficient service at competitive prices. All of our work reflects the historic and prestigious Blanch name therefore any work undertaken is completed to the highest quality. 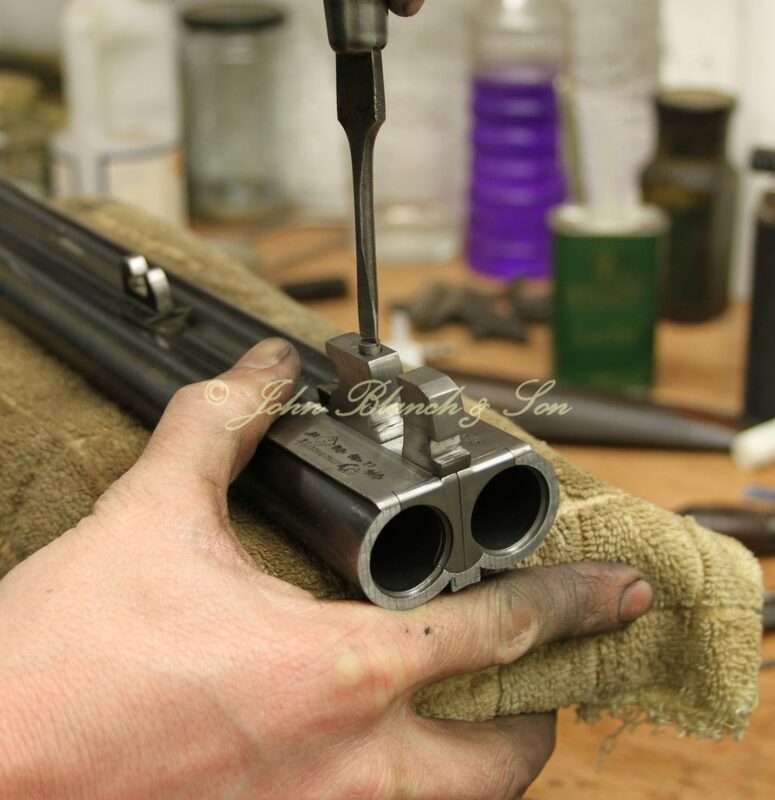 We would be happy to inspect your gun and provide a detailed quotation reflecting your requirements. 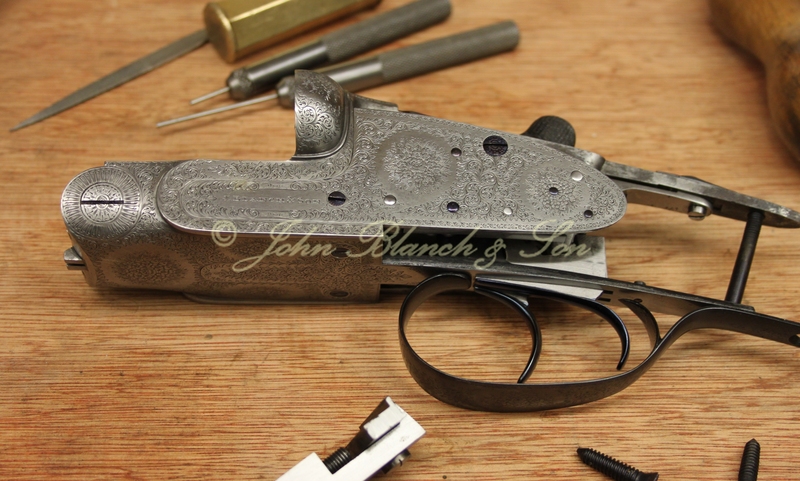 We also provide a gun fitting and alteration service. We can shorten or extend and alter cast and drop to suit most requirements. We can alter to measurements supplied or, should you require, our experienced staff can carry out a full gun fit. We are also able to repair or refurbish your gun case and are often able to supply accessories. If you own a Blanch gun we can offer a full range of accessories including snap caps, oil bottles and case labels to suit the age of the gun.